Want to be the first to know when new stuff arrives? With many Flat rate shipping boxes available now from the Post Office, if your shipping charges are more than $15, we should be able to use one of those flat rate boxes to save you shipping (depending on what you order). Please remember that not all items fit in those flat rate boxes, but we will do our best to save you money on shipping. In example you can order up to 4 magazines and they will all fit in a flat rate envelope for $7.00. Your order/receipt will reflect the lower shipping, and you will receive a refund for any extra shipping you were charged when we fill the order. *As many items listed are limited to stock on hand, it is always wise to call or email to check on availiability of merchandise before sending payment. We will gladly hold any item(s) for seven days while waiting for payment to arrive. * Some of the items we sell are 'Adult' in nature. When placing an order with items of 'Adult' nature please state with a signature that you are either at least 18 or over 21 years of age. 2. 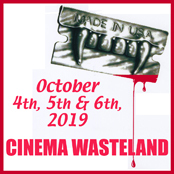 Make all Checks or Money Orders payable to Cinema Wasteland. All postage is now figured by weight and distance. For the most accurate shipping prices please email us the items you want to purchase and your zip code so we can figure the lowest shipping possible for you, or, pay by credit card and we automatically charge you the most resonable shipping rate it will cost to mail you your items. * If ordering Posters: ADD $2.00 per “rolled” poster order (or any large flat item that should be shipped rolled) to cover a sturdy mailing tube. ** All postage is now figured by weight and distance. For the most accurate shipping prices please email us the items you want to purchase and your zip code so we can figure the lowest shipping possible for you. With many Flat rate shipping boxes available now from the Post Office, if your shipping charges are more than $15, we should be able to use one of those flat rate boxes to save you shipping (depending on what you order). Please remember that not all items fit in those flat rate boxes, but we will do our best to save you money on shipping. In example you can order up to 4 magazines and they will all fit in a flat rate envelope. Paying by check? ** Please allow 14 working days from the day we cash your check for merchandise to ship. 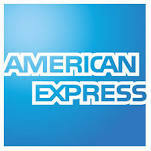 Money Orders ship same as cash - generally within 48 hours of receiving the order. Yes, we gladly accept orders from ANYWHERE IN THE WORLD. Please call or email about availability before you send payment and we will gladly hold your order for 15 days while waiting for payment to arrive. * If you are having trouble with the website, please email us what you would like and we can send you a PayPal invoice for the order. ALL PAYMENTS MUST BE MADE IN U.S. DOLLARS ONLY.
. a . . .......Copyright 2019,.All rights reserved.